Originally uploaded by Christopher Biggs. Last week, the Los Angeles City Planning Commission unveiled a 14-point policy agenda to set the city on a course towards sustainability, using Planning Director Gail Goldberg's mantra of DO REAL PLANNING as an acronym for the platform. I'm blogging my own thoughts on each of these planning principles through the lens of my own district work and the potential for citywide direction along these lines. Council District 13 is blessed with a transit infrastructure that is the envy of the city. We have more subway stops, rapid bus lines, and bike lanes than in any other part of town. We have the most used DASH line in the city and the most pedestrian-oriented business districts. So taking advantage of our main streets to help reduce traffic and increasing the quality of life by putting density near transit is a true no-brainer. A few years ago, the community in Hollywood helped write the Station Neighborhood Area Plan (SNAP), to encourage the right kind of development near all of our Red Line Stations and adjacent neighborhoods. In the next 5 years, you will see a dramatic change in Hollywood at the Red Line intersection of Hollywood and Vine, where dense, urban projects will rise above a corner that has not until recently lived up to its famous name. That resurgence will mirror the revitalization of the Hollywood and Western intersection, where we moved our field office over a year ago to take advantage of the subway stop. In central Hollywood, several thousand housing units are coming on line that can move people closer to where they work or allow them to use public transit to get there. 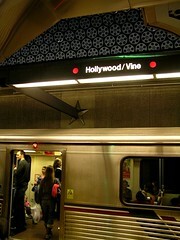 In Hollywood today, you can commute to work downtown on the subway, walk to a great restaurant, stroll down to the world-famous Hollywood Farmer's Market, or catch a movie or a play all without getting into a car. That means more time to enjoy our city and the company of our families and friends. Atwater Village is a community where creativity and neighborhood pride have converged at the same time as infrastructure improvements are reinforcing its sense of place. The residents of Atwater showcased their artistic talents and neighborhood beautification efforts at the first-ever Artwater Festival, a community-wide celebration that included belly-dancing, women on stilts, and chalk covered-sidewalks. Artwater was not only a celebration of the community's artistic endeavors, it was also a celebration of Atwater's residents own decision that they could transform their community into a local jewel. Part of Atwater investing in itself is its investment in the lives of its children. The Neighborhood Watch and Neighborhood Councils of Atwater Village and Glassell Park recently came together to fund an after school arts program at Washington Irving Middle School. Arts, drama, and music programs are increasingly rare in our schools, though we know that they often keep kids off the streets, away from harm and out of gangs. Last week, the Los Angeles City Planning Commission unveiled a 14-point policy agenda to set the city on a course towards sustainability, using Planning Director Gail Goldberg's mantra, “DO REAL PLANNING”, as an acronym for the platform. Here at CD13.com, I am sharing my thoughts on each of these planning principles, using the lens of my own district work and the potential for citywide direction along these lines. Because our plans historically have not included formal design guidelines, I have been blessed with more than a dozen architects, historical preservationists, and designers from the community, who volunteer several hours a month to participate in our Hollywood Design Review Committee. I can't underscore enough how critically important this has been in raising the bar for our major developments in Hollywood. I am encouraged that the Los Angeles chapter of the American Institute of Architects is developing a workshop for communities on design principles that will help elevate design issues in all Los Angeles neighborhoods and I am working with them to bring the Los Angeles Unified School District, local chambers, and other governmental entities together to ensure that good design can be more unified in our neighborhoods, no matter who is building in our city. Too often, good design has been missing from our local developments, but neighborhood councils, community groups, and council offices have the potential to bring all stakeholders in any given community together to make Los Angeles as beautiful as it can be. Via Curbed LA, a Planning Report interview with Emily Gabel Luddy, head of the city Planning Department's Urban Design Studio. She states that "the civic discussion about the central role that urban design plays in this city is coming together at the right time." I couldn't agree more. Most years, Earth Day is a one-time call to action for the world, a stark reminder of what we all can and should be doing to care for our planet. 2007 has proven that environmental stewardship is not just a once-a-year reminder, but an everyday concern with everyday solutions. Environmentalism has spread to every corner of society - from award winning movies to the Oprah Winfrey Show. Precipitated by climate change, this new "green wave" is changing not only how we think about the environment but how we live our lives. Find out what you can do to reduce your ecological footprint. Originally uploaded by rain queen. 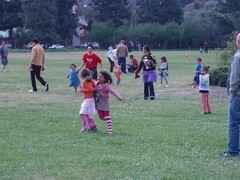 Barely a third of Los Angeles's children live within walking distance of a park. According to the National Recreation and Parks Association, a city should supply 10 acres of park space for every 1,000 residents. Los Angeles hovers at 10% of this standard. 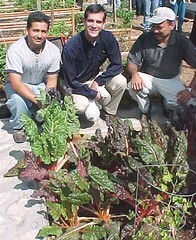 When I first ran for office in 2001, I vowed to double the number of green spaces in the district. My staff and I looked at every vacant lot and every budget line to find the funds and land needed to create more places for children to play and for communities to get to know each other. We dug in deep, creating parks from an alleyway in Hollywood, vacant lots throughout the district, and pockets of land adjacent to the Los Angeles River. We've sought bigger projects as well, including the proposal to build a cap park over the Hollywood Freeway and to turn a heavily-used street-lighting yard into a neighborhood park. We successfully doubled the number of green spaces in the 13th Council District and we’re focused on further greening. You've seen the development of the very popular improved walking path around the Silver Lake Reservoir as it unfolded. Now Phase Two of the path, along Silver Lake Blvd between Armstrong Avenue and the dog park, is ready to commence. With the pending completion of the path that will make it much safer for walkers and joggers around Silver Lake Reservoir, and in keeping with my work on parks throughout CD13, I have begun to discuss with community members the idea of opening the 6.5 acres of beautiful meadow space to the public. This area has remained fenced off and closed to the public for over 60 years. I believe that working together we can create access to this treasure in way that ensures safety and tranquility and continues to grow our community’s island chain of green space. Last week, the Los Angeles City Planning Commission unveiled a 14-point policy agenda to set the city on a course towards sustainability, using Planning Director Gail Goldberg’s mantra-“DO REAL PLANNING” as an acronym for the platform. I am encouraged by the Commission's passion and commitment to city-building. Their agenda speaks to me and to the work that my office has been doing in the Thirteenth Council District during my tenure. Over the next two weeks, I will write on this blog about my thoughts on each of these planning principles through the lens of my own district work and the potential for citywide direction along these lines. The first principle is DEMAND A WALKABLE CITY. This principle may seem like an anathema to our car-oriented city, but Los Angeles has always been a great city for walking, and as we have filled in our sprawling spaces, this has become more and more apparent. I walk in my own neighborhood of Echo Park a few days a week. We are blessed with parks, a great lake, parks, and a central business district that are all interesting to and convenient for pedestrians. One of the ways we have been trying to make all of the streets of our council district friendly to pedestrians is by organizing walkabouts. Our first, the Great Hollywood Walkabout, was an event I hosted last year to engage the community in a discussion about the pedestrian experience in Hollywood. 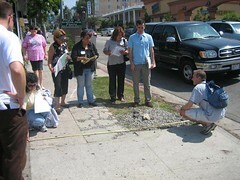 More than one hundred volunteers joined me on a Saturday in June to walk the streets of Hollywood armed with tape measures, cameras, and a careful eye with which to survey our street and sidewalk conditions. This information has helped influence the work that we are doing to update the Hollywood Community Plan to ensure that city-wide street standards are not applied to our existing street grid to unnecessarily widen streets and narrow sidewalks. 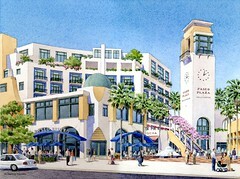 Our report on the Great Hollywood Walkabout is here (pdf). Read it and possibly be inspired to do the same ... especially if you are in Northeast L.A. For on Saturday June 9th, we are having the Great Glassell Park and Cypress Park Walkabout. Come join us! I attended the Department of Neighborhood Empowerment (DONE) Congress of Neighborhoods, the annual gathering of Neighborhood Councils and community advocates. Residents from across the city gathered to discuss problems and solutions that face every community, from homelessness to historic preservation. One issue that affects all Angelenos is graffiti. Tagging blights neighborhoods and intimidates neighbors. My office has worked to reduce graffiti by over 50% in the district over the last two years - and we've done it with a community-based solution. UNTAG, or Uniting Neighborhoods To Abolish Graffiti, has created a network of block captains responsible for reporting graffiti in a specific area. They report any and all tagging in their designated areas to the city, and it gets painted out quickly. UNTAG combines community organizing with technology and swift government response. It'll soon be available outside of CD13 - if you live anywhere in the city and you'd like to sign up as a block captain, contact my office. Last month we held the first of several "Planning 101" workshops, geared towards educating Angelenos on the ins and outs of the urban planning and land-use process and how people can participate in shaping their communities. More than 50 people attended our inaugural session at Edendale Library in Echo Park, with attendees from as far away as San Pedro and Sherman Oaks. Tom Rothman from the Planning Department presented to the group, going through the various levels of planning (general, specific, community, and so on), and provided an update on the LA River master plan (he heads the department's River groupt). Stay tuned for details on Planning 102, coming your way in June, and featuring a panel discussion on parking and transportation. The Palladium has seen better days. It was once the crown jewel of a sparkling Hollywood nightlife, and a hot spot for big bands and up-and-coming local artists. I personally remember coming to see the Violent Femmes in the world-famous ball room. In recent years has been scouted by developers for housing, parking, and numerous other plans that would have torn down the historical landmark. 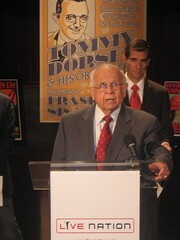 The vision for the future of Hollywood is one that must honor and celebrate its past. It is this connection that Live Nation has now brought to the Palladium. The live music promoter will restore the old ballroom to its former glory as a Hollywood venue. Stars used to visit Hollywood - now they live here. It is the nightlife capital of North America, a model of 21st century urbanism where people can - and do - eat, play, work, and live. Located on a transit hub with the Holly Trolley circulating throughout the area, Hollywood is also at the center of a new model for transportation in this city that has long been captive to freeways and cars. Indeed, the revival of the Palladium trumpets the return of Hollywood's Golden Age. My heart goes out to the victims of the shootings at Virginia Tech. They, their families, and everyone affected by this horrible tragedy are in all of our thoughts and prayers today. Los Angeles already has a housing crisis. The last thing it needs is another one. The same day that housing advocates set up an all-day "tent city" to spur action to end homelessness, I joined John Bryant of Operation Hope to call attention to an emerging undertow in the choppy sea of L.A.'s housing trials. About 65 percent of renters can not afford to pay the median price for an apartment in Los Angeles. About two percent of our city can afford to buy the median-priced home in today’s market. According to the Los Angeles Business Journal (subscription), in 30 Los Angeles zip codes, risky sub-prime loans account for at least a fifth of all mortgages issued in just the last two years. We don't yet know how hard the sub-prime market's woes will hit Los Angeles, but we need to be prepared and to reach out. I have introduced a motion that will ask our city staff to evaluate the economic effects of the sub-prime market’s woes on our city, to analyze how broadly and deeply it affects our city, and to report on available options to help out people feeling the heat. Meanwhile, Operation Hope is already helping people who are facing foreclosure or worried about their payments. They have set up a Mortgage HOPE Crisis Hotline at (888) 388-HOPE to provide free financial counseling to those most in jeopardy of losing their homes. I spoke to an operator who walked me through the questions she would ask a client. Please don't hesitate to ask for help. Last November, I was joined by Filipino Veterans from around the country to dedicate the nation's first Filipino Veteran's Memorial, a testament to the more than 120,000 Filipino soldiers that served under the command of General Douglas MacArthur during WWII in the United States Armed Forces of the Far East (USAFFE). I was joined once again by the surviving veterans and their families to commemorate the 65-year anniversary of the fall of Bataan and Corregidor, where Filipino and American soldiers valiantly defended the archipelago for five months before supplies ran out and exhaustion set in. Many in attendance were also survivors of the Bataan Death March, a forced 65-mile march to prisoner of war camps without provisions that resulted in the deaths of thousands of Filipino soldiers. Their bravery will forever be remembered on the black granite that stands tall in the heart of Historic Filipinotown. However, it has taken a generation for the United States government to recognize their heroism. Stripped of their U.S. Veteran status and benefits promised to them under the G.I. Bill of Rights, Filipino Veterans have only in the last 20 years begun to receive the recognition due them as veterans of the U.S. Armed Forces. Their organizing efforts have led to a number of "Equity bills," which have restored partial veterans' rights to some. The battle to win full equity and honor has not been won. The Los Angeles City Council has passed a resolution of support for H.R. 760/S.57, which would grant veterans' rights to all Filipino Veterans. We remember the heroes from those battles every year. It is time the government recognize their bravery in full. The impact of Latinos on American life, art, culture, and industry is more visible today than ever before, though the Latino story is long inseparable from the American one. I joined my colleagues from the council’s Latino Caucus to win unanimous passage of a resolution of support for the establishment of the Commission to Study the Potential Creation of the National Museum of the American Latino, a landmark that would celebrate the achievements of American Latino life, art, history, and culture. Designated H.R. 512 (and introduced by Congressmember Xavier Becerra, who serves as Assistant to Speaker Nancy Pelosi and is the highest-ranking Latino member of Congress) and S.500, the bill sets in motion a number of processes necessary to establish the museum: fundraising, siting, and engaging the American Latino community in the development of the design of the museum. I hope that the efforts of Congressmember Becerra will soon mark the Washington, D.C. skyline with a new monument to the richness of Latino culture and history. By unanimous vote, the Los Angeles City Council approved new legislation on condo conversion and tenant relocation. 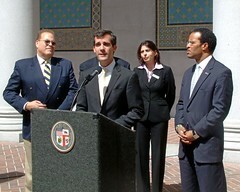 The new legislation includes strong protections for the 70% of Angelenos who rent their homes. The Council's actions doubled and in some cases tripled relocation fees paid to tenants that had only seen slight increases since 1987. The new fees are based on the realities of the housing market, and will help ease the insecurity of middle- and working-class renters in Los Angeles. For tenants that have lived in their residence for less than three years, qualified tenants (senior, disabled, and families with minor children) will receive $14,850. All other tenants with less than three years tenancy will receive $6,810. For tenants that have lived in their residence for more than three years, qualified tenants will receive $17,080 and all other tenants will receive $9,040. For all tenants that earn less than 80% of the average income in the area, qualified tenants will receive $17,080 and all other tenants will receive $9,040. In a public process that unfolded in many committee hearings and council meetings over the past year, this council evaluated data and testimony, rigorously debated policy options, and finally passed legislation that protects tenants and increases certainty for developers. I am proud of our process and our result. 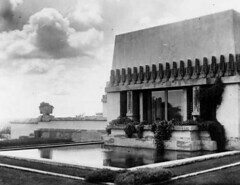 The Hollyhock House, nestled atop Barnsdall Park on the edge of Hollywood, has long been a tourist attraction for students of architecture and students of history. The first of Frank Lloyd Wright's California Houses, Hollyhock was one of the most significant designs of the architect's career, and was a watershed moment in the progression of his signature style. Now, Hollyhock has been designated one of twelve new National Historic Landmarks by the Secretary of the Interior. Fewer than 2500 places have earned the distinction of National Historic landmarks, and Hollyhock has taken its place alongside Washington's Mount Vernon and Jefferson's Monticello as American architectural monuments. Though the house is beginning to show some signs of aging, my office continues to work to make sure that it is a jewel of the city and a valued historic resource that will be preserved for the broader community. This summer, we'll be opening up the great lawn, with drought-resistant landscaping and a semi-circle imprint that will complete Wright’s vision for the lawn. Look for more improvements at the house, as we continue to embrace Hollyhock's history and preserve Wright's legacy for future generations. During the summer of 2006, we witnessed the hottest temperatures ever recorded in Los Angeles. The intense heat and growing power demand overloaded the power grid. Nearly 80,000 DWP customers found themselves without power on some of the warmest days of the year, affecting their homes, their businesses, and in some cases, their lives. We all need to begin preparing to do our part to ensure that these types of outages don't happen again. The solution is three-pronged. First, we need to upgrade our aging infrastructure. Last year's outages were caused when 303 electrical transformers failed. Since then, DWP has upgraded more than 1300 failed or failing transformers. Though the replacement of these is an important first step, the 40-year replacement cycle for the more than 126,000 transformers throughout the city is not nearly enough to accommodate Los Angeles' increasing demand. We need reliable power service to all our customers, and we need a skilled workforce to ensure that very reliability. Secondly, we need to collectively reduce our electricity use. If every household in Los Angeles were to replace one regular light bulb with a compact fluorescent lightbulb (CFL), we could shut down an entire coal-fired power plant (DWP is planning to deliver two CFLs to the door of every customer this summer). We can all do things in our everyday lives to reduce our demand. Finally, we need to effectively communicate with the public before, during, and after outages. We need to warn residents when the hottest days are coming and encourage them to use less electricity those days. We need a reliable customer service center to inform communities affected by outages and respond to calls. And we need to be prepared with information on cooling centers and back-up power and water supplies in case of outages. Congratulations to the six (count 'em, six) projects in CD13 that have been selected to receive funding from the Office of Community Beautification’s annual grant program. More than $50,000 has been dedicated to promoting public art and assisting community organizations create community gardens in the thirteenth district. The Casa de Amigos de San Vicente will fashion a Jardincito Urbano in front of their community center, including seating, integrated planters and trees. Similarly, Commonwealth Ave. Elementary will now feature a reading garden connected to the school library, with reading benches and tables and colorfully painted pots filled with greenery. And the Rosewood Community Garden will now be able to rebuild the frames of 30 garden plots. Glassell Park Elementary combines the theme of environmental responsibility with artwork, as the school will work with a professional artist to design and install a 600 square foot Wetlands Watershed mural depicting a restored LA River. And while Glassell Park will show us a vision of what is possible if we act locally, Micheltorena will remind us to think globally with a new 900 square foot mural designed to educate children about environmental issues that we all face. Finally, the Hollywood Farmers Market will now feature decorative hangers, fully decked out with the market's logo and hanging baskets. All in all, the future is a little more beautiful in CD13.